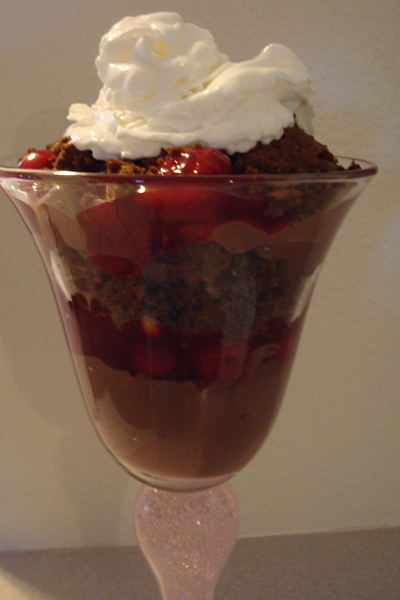 This is a variation on the Cherry Almond Parfaits. 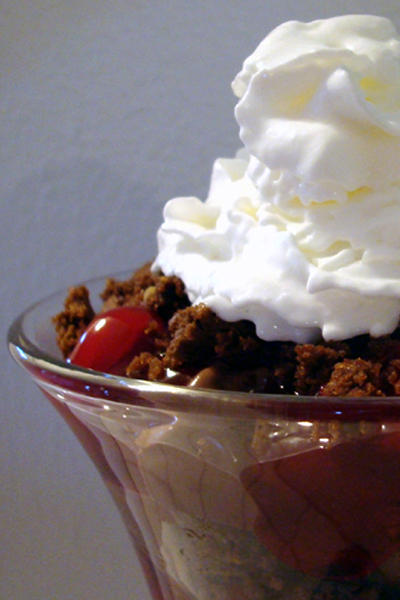 It’s another super-easy, super-tasty low-calorie dessert… the perfect ending for any dinner party. Your guests will never know it’s been healthy-ized! Blend sugar-free coconut syrup into chocolate pudding. Ladle pudding into serving dish. Top pudding with pie filling. Swirl fat-free Reddi Wip on top. Entry filed under: food review, recipes. Tags: low-calorie desserts.